Today you can buy the best DSLR for video and start filming breathtaking and high-resolution videos. If you are going to choose DSLRs for filmmaking, read my honest review of 10 best DSLR cameras for video for any budget and any photographers’ requirements. The best video DSLR provides first-class recording, is capable to shot in low light, comprises external microphone input as well as still-frame mode. It doesn't matter if you are an inexperienced user or a professional, you should consider three main factors before purchasing a DSLR: manual control system, decent image quality, and the possibility to interchange the lenses. This kind of camera bodies have long battery life as DSLR body is usually bigger. But it contains larger batteries and the optical viewfinder does not use power. Such kind of cameras provides phase detection which makes autofocus and tracking work better. If you are hesitating over the choice of what DSLR to buy, this review of 10 best DSLRs for video will help you make a choice right. 4K video recording and Dual Pixel autofocus characterizes substantial advancements comparable to the previous model. Currently, users have an extraordinary opportunity to enjoy the whole package – you can shoot either stills or videos. 5D Mark IV records a first-rate video. I counted on this exclusive model because it produces top-notch moving images. Moreover, the refocus is precise and smooth. HDMI-out is restricted to 1080p. Though, with a help of Dual Pixel AF and the sensitive touchscreen, I get accurate, smooth and high-class focus racking that makes filming easier. It goes without saying that this DSLR video camera is highly recommended to all professional photographers and YouTube bloggers. With 2 aspherical and 2 UD components, this lens provides top-quality videos with outstanding detail all through the whole zoom range. A 9-blade circular diaphragm generates gorgeous and smooth backgrounds. It delivers a Hybrid IS arrangement with up to 4 stops of balance, compensates for angular motion as well as shift shake and produces accurate stabilization even in macro. Having tested D850, I found out the most essential feature for me. It is 4K and 8K time-lapse mechanism. As soon as I’ve selected the interval for recording, I was able to see the quantity of space this function would take up on the SD card, along with a specified length of time after completion. Nevertheless, it is safe to say that when I am going to generate an 8K interval, it is necessary to shoot via the Raw option as well as run the files using a different program. Unfortunately, recording first-class time-lapse videos runs a battery down. View my review of the best DSLR cameras for affordable price, if you are going to take high-quality photographs in the studio or in low light. It provides the 105mm focal length with a fast f/2.8 aperture. It makes possible to record fabulous videos with a shallow depth-of-field, allowing the object to stand out against the background. The lens works excellently even in the poor lighting conditions. Canon EOS 80D is capable of shooting videos of pretty good quality which are pleasant to the eye. This model offers Dual Pixel autofocus that is very accurate allowing you to capture the most essential moments while travelling. A prime stereo microphone is integrated into the camera’s body. It’s one of the best camera for video that features a headphone port which makes the exploitation very convenient. Video quality has considerably increased compared to the previous models. However, if we draw a parallel between other models in 1080p, the shooting material lacks some details, and it may seem a bit soft. Nevertheless, I would highly recommend this device as the best Canon for video. The amateurs and those who have an intention to shoot great videos will surely appreciate it. If you are going to record professional videos for your YouTube account, I recommend you reading about the best vlogging cameras that are user-friendly and show amazing results. The model provides consistent, fast and quiet operation from a wide viewing angle, which makes it a perfect lens for everyday photography, travel, photo and video recordings. When I took the pictures with Canon EOS 1D X Mk II, I was impressed by the quality seen on the cam screen. Imagine my astonishment when I saw the images on my computer screen. The pictures were stunning with accurate autofocus which greatly amazed me. When it comes to the video filming, the main advantage is 4K video support. The capacity to record 4K/60p video is exceptional. Moreover, the final shots practically do not require any image editing to look decent. Besides, you may be in full control of a rolling shutter. In terms of quality, the camera is one of the best in its class. You can easily keep your object in focus thanks to brilliant Dual-pixel AF. It does not have a great variety of video functions, but, as for me, I consider it to be the best Canon DSLR for video and photography. Read more about the best Canon for video and lenses you may use to record videos about your trip or behind the scenes photoshoots. This L-series ultra-wide zoom features an Optical Image Stabilizer and provides up to four levels of correction for excellent performance even in the low light. Its three aspherical lenses and two UD lenses lessen aberrations over the entire zoom range, while improved coatings diminish ghosting. The 9-blade circular aperture provides excellent background blur. The video material I receive with outstanding Canon EOS 6D Mark II is soft. The stabilization delivers extremely smooth recording, and Dual Pixel AF provides great AF speed. I was impressed by using the in-focus footage, especially when I saw the video on the big screen. Furthermore, this good video recording camera provides a 4K time-lapse film mode which lets the shutter operate regularly at set intervals over a certain period of time. This device is better for everyday use than for professional shooting. If you want to film the highest-resolution videos, it is better to choose another model. Nevertheless, it has a wide range of brilliant options, which makes this camera great for amateurs. Read my full overview of the cheapest 4k cameras you can use for travel videos. If you want to record videos at night, I recommend you to read about the best low light cameras to avoid low quality results. This lens is perfect for shooting nature, portraits, weddings, etc. It is great for reducing ghosting and glare. Also, it helps get clear, evenly lit images with a great blurry background. New is not always well forgotten old. Sometimes this is the result of a deliberate improvement that provides the user with technological advances of recent times. Nikon D7500 impressed me with the recording of 4K videos and rather detailed video shooting. This model offers advanced Multi-CAM 3500 II autofocus sensor module with TTL phase detection, fine-tuning and 51 focus points (15 cross-type sensors and 1 sensor supporting f/8 aperture). It shoots from 3840 x 2160-pixel area and creates a 1.5-fold crop in the field of view. That is a benefit when it comes to the wildlife or sports recording, but it is a downside when I am planning to shoot a wide-angle view. In D7200, I remind you, there was no support for 4K at all, and 1.3-fold cropping is activated in Full HD. As you can see, the new model efficiently combines the features of both amateur and semi-professional cameras. Support for working with professional pulsed light, extensive flash control capabilities, both built-in and external, shooting video in 4K, fine autofocus settings make D7500 the best DSLR camera for video for beginners. Considering the cropping factor of the Nikon DX cameras for which this lens was designed, its EGF will be 450mm. It is easy to reach the distant objects which is good for wildlife photographs and videos. This is definitely the best DSLR for video that is the most expensive in my list. Leica Pro CMOS sensor is 30 × 45 mm with 37.5 million pixels. A layer of micro lenses in the matrix provides smooth brightness over the entire image area. Light sensitivity ranges from ISO 100 to 6400. The Maestro II processor provides high performance. The camera is capable of continuous shooting at speed up to 3.5 frames per second, as well as recording ultra-high-resolution video in 4K MOV file format (up to 4096 × 2160 pixels). The camera has an improved autofocus system. To ensure optimal sharpness and accurate tracking of moving objects, Leica S (Type 007) has an intelligent autofocus mode: the device records the movement of the subject and determines the distance. This DSLR camera has a 3-inch display, slots for SD and CF memory cards, a GPS satellite navigation receiver and a Wi-Fi wireless adapter. It gives the shooter total control over the perspective and the focal plane. The diameter of this lens’ circle is 153 mm. This feature allows the photographer to transform the visible (in the viewfinder or on the camera display) image of the objects being captured without changing the camera position. For instance, it is used to get rid of perspective distortions during the product shooting. The A99 II is the perfect choice for professionals. It has many video-centric specifications. The users can record videos in 4K. You can also try other resolutions and frame rates, for example, Full HD shooting mode. These and other characteristics make this gadget the best DSLR for video recording according to many experts’ reviews. Shooting in S-Log and S-Gamut are the undoubted advantages of this device, which will be helpful in the process of video editing. Most users admire a clean HDMI output. Moreover, this DSLR has many other options, such as gamma assistance and zebra mode to please videographers. If needed, you can easily switch between the full-frame capture and APS-C (Super 35) modes. Using APS-C, image quality becomes significantly higher with smaller amount of digital noise. If you are looking for a high-quality device, consider this good video recording camera. Its advanced characteristics make it one of the leaders on the modern digital cameras market. It has a constant maximum aperture of F2.8. This feature allows you to adjust a depth of field and exposure settings, regardless of the focal length. This telephoto lens with a wide viewing angle will be a great addition to your camera. It will give you the opportunity to shoot videos in the most diverse conditions. Using this camera, the videographer has full control over the shutter speed, manual exposure, ISO and aperture. Still, you can’t select the desired autofocus mode after the start of video recording (tracking, face detection, point mode, and several autofocus points). The only option here is focusing on the center. However, this camera has several advantages that are worth considering when choosing the best DSLR for video shooting. Headphone and microphone inputs help improve the quality of sound recordings and the entire video. The modern Movie SR sensor reduces “shaking” while shooting, making your videos more professional. The video quality will please even the most demanding customers. In addition, this camera has a rather affordable price. Professional videographers choose it for work in difficult conditions, for example, in low light. It can significantly improve the sharpness of the image. The lens has a maximum aperture of F2.4. and is unbelievably light and compact. This lens has a special PENTAX Super Protect (SP) coating, which perfectly protects it from dust, dirt, and water. It’s a aspheric lens that means you can improve image quality by compensating for spherical aberration. This DSLR video camera can work at a frame rate of up to 60p (59.94) but only at a resolution of 720. Full HD video shooting requires a frame rate of 1080 / 29.97p or slower. The advantage of this DSLR is the possibility to work in the manual mode. The image quality is pretty good, but you may have some problems with autofocus and light control. The 7.560-pixel RGB and IR sensor did not positively affect the autofocus system. Compared to competitors, this DSLR camera has several shortfalls. This is especially noticeable when using a facial recognition function. Although this camera body cannot be called the best DSLR for video recording, it has some great features, which can be admired. It is an ideal option for video shooting and photographing. It has a rather good zoom. 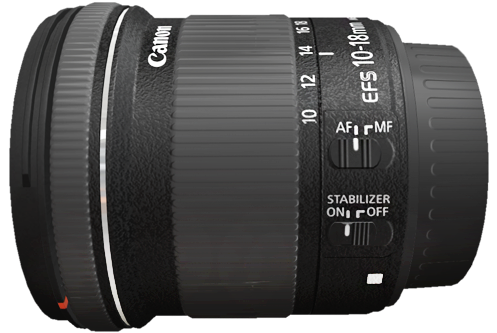 An inner focusing system and improved autofocus algorithm make working with AF settings as simple as possible. The lens has a cool Dynamic IS function (for video mode). It contributes to image stabilization, which allows you to record high-quality videos even during walking. How to Choose the Best DSLR Camera for Video? It may seem that choosing the best DSLR for video is a very simple task because there are many high-quality gadgets today. All of them have wonderful characteristics (high build quality, reliability, ideal technical features, stylish design, etc.). However, sometimes it is difficult to find the one option that is suitable for your specific purposes. Specify the most important aspects for you and do not forget about them when searching for the best DSLR video camera. If you are looking for an affordable camera for beginners, you should focus on devices with an APS-C sized sensor. It has a chip size of 23.6 x 15.7 mm (or 22.2 x 14.8 mm in the best Canon DSLR for video shooting). Professional cameras are likely to have a larger sensor (36 x 24 mm), which is equal to the frame size of a 35 mm film (so-called "full frame" cameras). The main difference of such a sensor is 2.5 large surface area, compared with APS-C. This makes it possible to “absorb” more light, which directly affects the quality of the image (especially when shooting video with increased sensitivity). It sounds trite, but image quality is a decisive factor when choosing the best DSLR for video shooting. 1080p is a standard feature of most video devices today. This value is suitable for many videographers. However, if you want to deliver the highest quality material, you should consider devices with 4K recording capability. However, not everyone can notice the significant difference between 4K and 1080p. Therefore, think carefully about whether you should spend more money on a camera with the support of this format. When choosing the best DSLR for film shooting, remember that you can always use video editing software that can significantly improve image quality. Megapixels are used to measure video resolution. One megapixel consists of a million pixels. The number of megapixels, of course, affects the image quality, but this is not the most important factor when choosing the best DSLR camera for video recording. Many modern mobile phones have cameras with a large number of megapixels, but this does not guarantee excellent shooting quality. Aperture range, ISO and shutter speed are the main components of the exposure. As a rule, professionals use manual DSLR video settings. However, if you are just starting to work in this field, you should pay attention to devices with automatic settings, which will greatly simplify the video recording process. The processor is the heart of your gadget. Therefore, it is the most important parameter when searching for the best DSLR camera for video. It is impossible to compare different processors according to a single list of characteristics since different gadgets are created for different purposes and have certain advantages and disadvantages. As mentioned earlier, you need to decide what you want to get as a result of the video recording process and take it into account when choosing the best camera for video. Although these features do not affect the quality of the video, most modern users prefer cameras with Wi-Fi, Bluetooth, and NFC. Wireless technologies allow you to transfer videos to your computer or network instantly. However, note that these functions can significantly increase the price of a DSLR video camera. Many gadgets have a good lens included in the kit. If you are a beginner, it will suit you perfectly. However, if you want to work at a professional level, you should choose a good additional lens. Pay attention to its technical characteristics. Most videographers prefer DSLR video lenses with prices ranging from $100 to $200. Imagine that you have already found the best camera for video recording. Now you need to learn how to use it as effectively as possible. Experienced videographers know many useful tricks. Read some simple tips and learn how to work like a professional. The basic setting that you will need to use is the ISO level. With the correct setting of the aperture, you can control the image quality by changing the brightness and sharpness, and controlling the level of digital noise. ISO specifications are dependent on lens quality. Therefore, more expensive and high-quality lenses will give the best result. Experimenting with the diaphragm, you will get more professional videos and photos than with the automatic settings of your DSLR video camera. Stabilization plays a huge role when shooting video. Compared to photography, when you need to stabilize your device only while pressing the shutter button, video recording requires constant stability. Therefore, you should think about the possible ways to fix your device. In this case, a tripod is the best option for you. There are many comfy tripods at very affordable prices on the market these days. If you want to have the most mobile stand, use a monopod. If you have to shoot video in low light, adjust the settings of the ISO to get the most vivid and clear picture. ISO depends on the width of the diaphragm. Average cameras have fairly good ISO specifications. However, if you want to shoot a professional video, you need to buy a good lens. It is important to know one more crucial thing –very high ISO helps not only to get more light but at the same time creates a lot of digital noise. The main problem with controlling the exposure of most DSLR video cameras is too much light when working in the daytime. It can adversely affect the quality of the video. In such cases, it is recommended to use the ND filter. This way you will be able to adjust the amount of light without having to change the camera settings. Many photographers like to present unedited photos. In this way, they want to show a high level of professionalism. If we talk about the video, everything is a little different. Most likely, you will not be able to do without further processing of the footage if you want to become a real expert of video filming. Adjusting the color gradation during video editing will allow you to get the right mood and tone and improve the image quality. Fortunately, modern DSLR video cameras have many useful features that will greatly simplify your video post-processing.